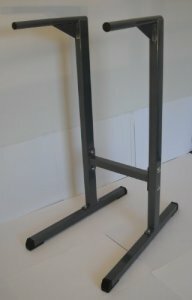 Sometimes less is better and that’s certainly the case with the Dip Stand Angled Dipping Station Bars by Barbells4me. 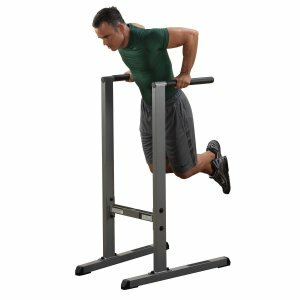 This simple, yet effective dipping stand will have you building a rock solid upper body in no time. Not only do dips work out your arms and chest but you can do other exercises such as knee raises for a full core workout too. 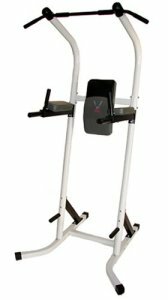 This freestanding dip station is great for workout out your triceps, delts and shoulders. 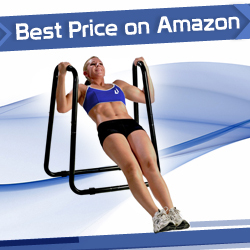 It has angled bars with a 500 pound capacity. The bars are extra thick for easy gripping. The distance between the bars is 20 inches at the back and 24 inches at the front.